If you have hypothyroidism you’ve probably been told to avoid goitrogens in the form of cruciferous vegetables. Knowing how to eat in order to relieve symptoms associated with hypothyroidism can be tricky business. There is so much contradictory information that people usually give up before they even begin. 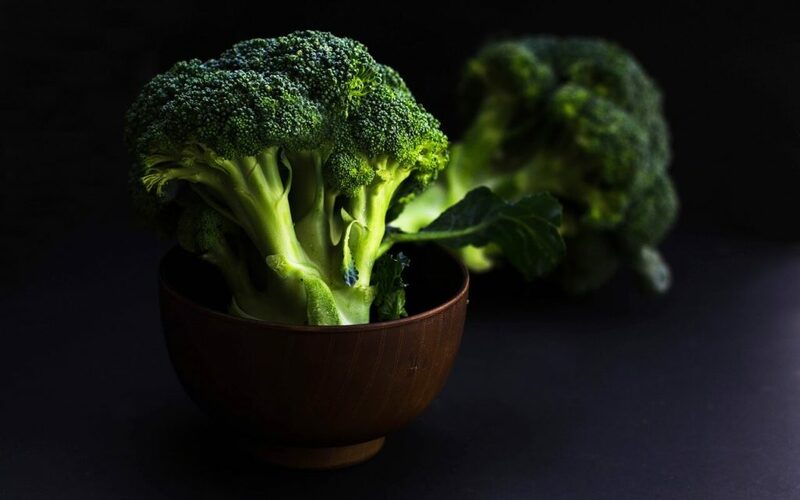 One such nutrition topic in the context of optimal thyroid health is whether or not to include cruciferous vegetables like broccoli within the diet. Avoiding inflammation-causing foods such as gluten, dairy, and sugar when considering hypothyroidism is obvious to many already suffering with the condition. What is not obvious, however, is if goitrogenic foods such as broccoli, cauliflower, cabbage, and kale are good for thyroid health. It becomes confusing because the foods just mentioned are rich sources of nutrition and yet many health care professionals tell patients to avoid these foods if they have hypothyroidism. Goitrogens are compounds that suppress the function of the thyroid by interfering with iodine uptake. However, the family of fruits and vegetables that contain them, the cruciferous family (which includes spinach, radishes, broccoli, cauliflower, peaches, and strawberries), is a great source of biologically active compounds that are potent antioxidants and prevent cancer. Some of these compounds are also goitrogens which can interfere with thyroid function – but do they? 1. You need a LOT of Goitrogens to hinder the thyroid. 2. Goitrogens Can Stimulate T4 Synthesis. 3. Foods that contain goitrogens are also nutrient dense. It really would be a shame to avoid foods that have such a profound positive effect on human health. Cruciferous vegetables contain a powerhouse of nutrition that help support the optimal functioning of the body. Broccoli is known for its potential to boost the detoxification processes of the liver and can protect against cancer. Cabbage can be fermented to produce probiotics in the trillions range to support intestinal and immune health. Kale contains an entire range of nutrients that can enrich the blood with oxygen. In my opinion, there are more risks associated with NOT eating these foods than including them into your daily diet. 4. How goitrogens affect you depends on other nutrient deficiencies. If you are deficient in iodine or selenium, eating foods that contain goitrogens can be detrimental to your thyroid. Selenium is a strong antioxidant that enhances thyroid hormone production as well as decreases oxidative damage to the thyroid. Iodine is a building block of thyroid hormones. If you are deficient in either, TPO (the enzyme mentioned earlier) can be inhibited. It is important to work with a doctor with a nutrition background or a functional medicine practitioner in order to correct for these deficiencies. 5. Goitrogens are destroyed by heat. Not sure if you have deficiencies? You can still enjoy many cruciferous vegetables like kale or spinach simply by steaming or cooking them. Heat destroys goitrogens. If you want to include kale in your smoothie, quickly blanching it before you use it in your smoothie does the trick. Overall, it’s important to look at the diet as a whole rather than avoid foods that have a lot of health benefits. It is very good for the diet to be diverse and to include different foods in order to ensure that you are getting all the nutrients you need in order to heal. For example, eating broccoli every single day and avoiding other vegetables is not a good idea. If for one week, you include broccoli, carrots, zucchini, and mushrooms into your diet, the next week change these vegetables and try foods like spinach, spaghetti squash, cabbage, and sweet potato. Do you want to heal your Hypothyroidism symptoms for good? Are you tired of the guesswork involved in treating your hypothyroidism? The Hypothyroidism Solution contains everything you need to start treating your Hypothyroidism holistically. 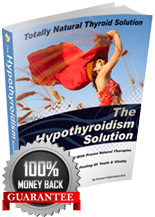 Click here to get The Hypothyroidism Solution Now with FREE BONUSES! Tina Christoudias is a Harvard-trained registered dietitian with nearly 18 years of experience as a nutrition counselor. Having had personal experience with hypothyroidism, she specializes in diet protocols for Hashimoto’s thyroiditis and hypothyroidism and has recently finished her book, Tired of Feeling Tired? She is a strong advocate of the Paleo diet and is currently getting certified as an autoimmune protocol certified practitioner. Felker P, Bunch R,Leung AM. Concentrations of thiocyanate and goitrin in human plasma, their precursor concentrations in brassicavegetables, and associated potential risk for hypothyroidism. Nutr Rev.2016 Apr;74(4):248-58. doi: 10.1093/nutrit/nuv110. Epub 2016 Mar 5. By submitting your name and email you are consenting to receive regular newsletter emails from Healy Eats Real including information about our products and special offers. You can unsubscribe at any time. What an interesting post. I didn’t know about heat and goitrogens, so I love your tip about blanching your kale if you want to include it in a smoothie! As someone who has suffered with hypothyroidism for most of my adult life, even though I take medication, I have enjoyed this read. This was interesting! It’s good to know that such healthy vegetables can be part of a hypothyroid diet. I had never heard of goitrogens before.. Thanks for such a lovely article. To be honest, I’ve never even heard of goitrogens so this was a great, informative read! Very interesting and informative. I always say “it’s the dose that makes the poison” when it comes to eliminating foods. Moderation of everything is key. This is such a great read!! So much information.. will share this with my mother in law!